We currently have 7 in stock at Wells, 6 in stock at Congresbury (as of 25/04/2019 13:24:39). 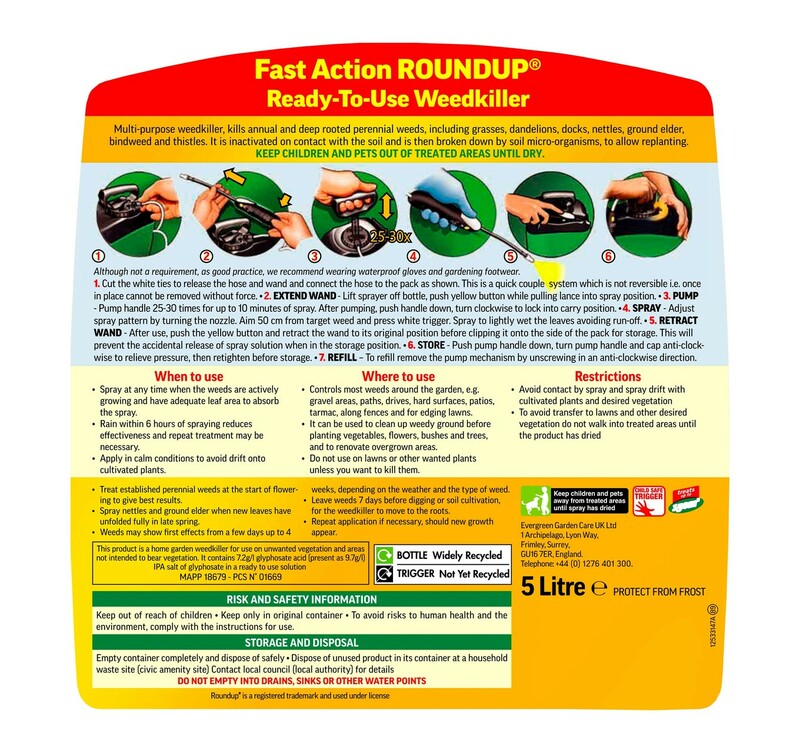 Pre-diluted ready to use glyphosate weedkiller to kill weeds and roots from a single application. 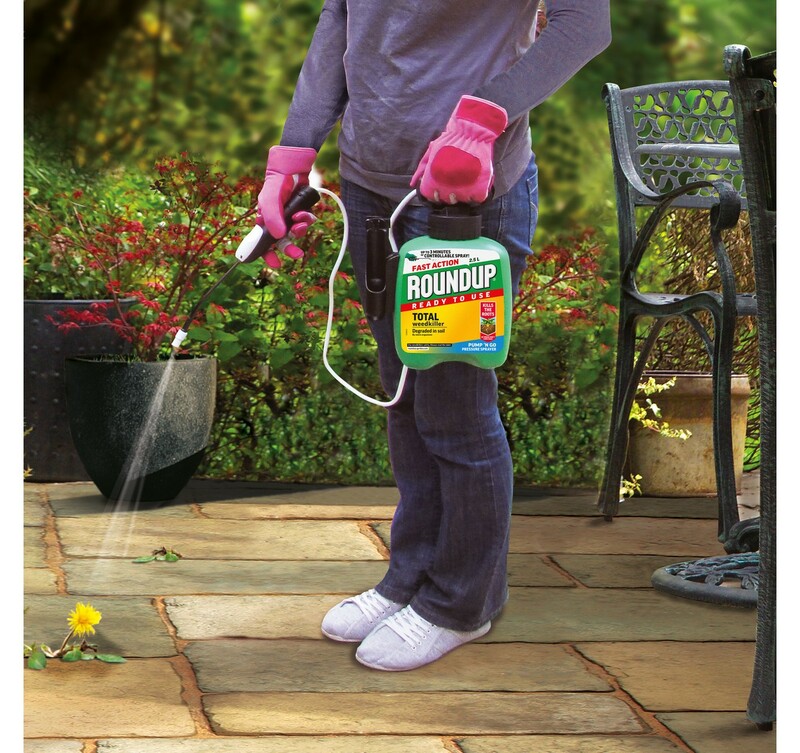 Visible results can be seen in 1-2 days followed by systemic action to kill weeds right down to the roots so they don’t come back. 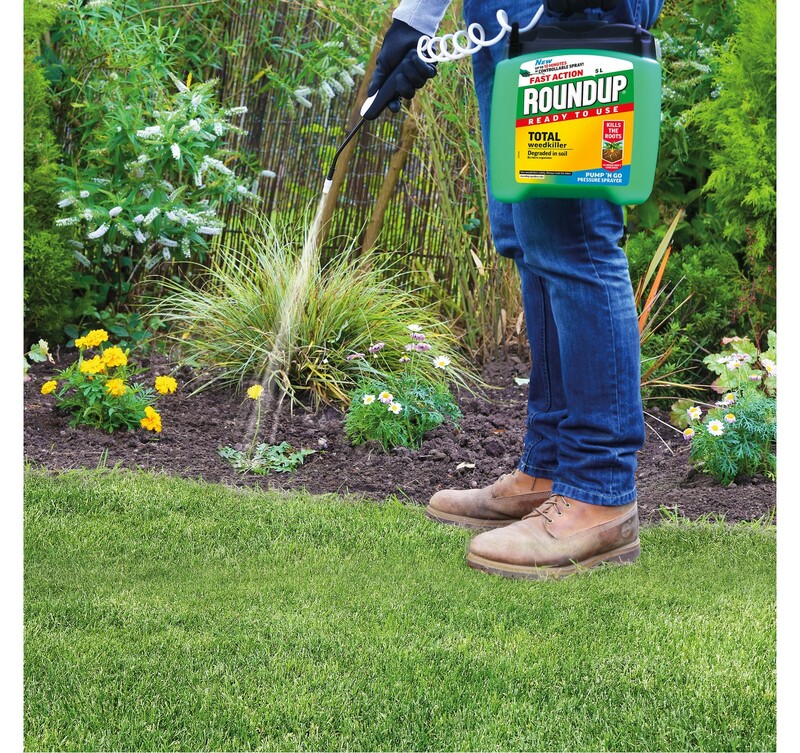 Roundup is inactivated on contact with the soil and is then broken down by micro-organisms in the soil to allow re-planting. Children and pets can play on the treated area once dried.